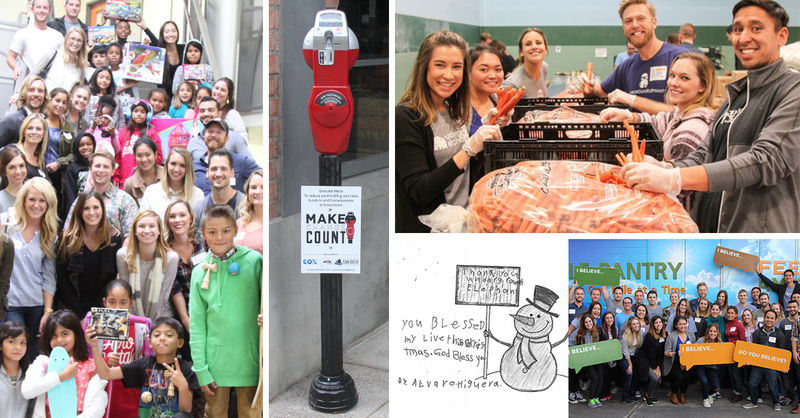 This holiday season, Underground Elephant has teamed up with three local organizations to help address San Diego’s growing homelessness problem. San Diego is ranked fourth among cities with the highest homelessness populations, ahead of both Washington D.C. and San Francisco. Specifically, the company is looking to help East Village, the location of their new headquarters and one of the areas most impacted by homelessness in San Diego. Through a series of monthly countings, the Downtown San Diego Partnership has seen the homeless population in East Village rise 80% over the past year alone. To aid the situation, UE will be partnering with Make Change Count, Feeding San Diego, and Monarch School to donate both time and goods to the cause through December. Wow! I didn’t know San Diego’s homelessness population was fourth in the nation. I wonder why it is so high? Glad to see Underground Elephant doing their part to help. Underground Elephant’s CEO Jason Kulpa seems to have many charities he supports (and his employees support).